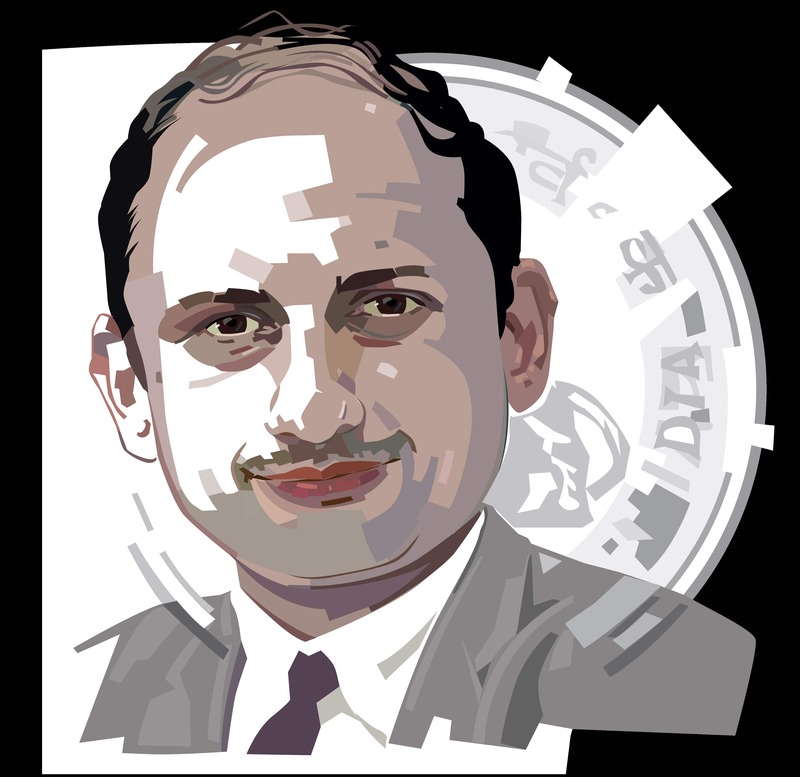 Within a month of taking over as a deputy governor at the Reserve Bank of India (RBI) on 20 January, Viral V. Acharya, addressing a banking technology conference of the Indian Banks’ Association, chose to speak “with a certain sense of urgency" on the need and ways to “decisively resolve Indian banks’ stressed assets". This speech of Acharya, 43, RBI’s youngest deputy governor post-liberalization, reminds us of another one—also by a deputy governor—two decades ago. At an annual gathering of foreign exchange dealers in Goa in August 1997, Y.V. Reddy had said, “As per the real effective exchange rate, it would certainly appear that the rupee is overvalued." The next day, the local currency tumbled. There are many differences between the two speeches. In 1997, the central bank wanted to push the rupee down against the dollar; now the problem centres around the rising bad assets of banks. Reddy’s message was subtle; Acharya’s, direct. On both occasions, however, the RBI wanted to send out a message and test the market reaction. Reddy and Acharya were chosen to be the messengers, and presumably both speeches were cleared by the governors—Bimal Jalan in 1997 and Urjit Patel now. When I invited Acharya for a meeting in May, he was hesitant. I was intrigued by his way of doing things differently. He does not go to office wearing a suit and tie unless there is a formal meeting; he doesn’t stay at the house reserved for a deputy governor in south Mumbai’s tony Napean Sea Road, living instead with his parents and brother’s family in the western suburb of Vile Parle (“Mere paas Maa hai!" he says); he often takes a shower in office. He plays tennis every day on the lawns of Ashoka Towers at Parel or the Bombay Gymkhana, and football with the neighbourhood children when his nine-year-old US-based son is in town. After much persuasion, he agreed to meet me at the RBI guest house in Kolkata, where he had arrived to give a speech at an industry chamber seminar. Since it’s not a public place, I made another request—I wanted to hear him sing his favourite Kishore Kumar song. Acharya is reluctant. Although he started an Indian film music band while studying at the New York University Stern School of Business (NYU Stern) in 1998—calling it Surbahaar, after the music event at the Indian Institute of Technology (IIT), Bombay—he insists he is just a “bathroom singer". He says his wife Manjiree, who prefers jazz, once got him to train under Hindustani classical singers Pandit Rajan and Sajan Mishra in London, but the apprenticeship lasted only a week. Over a vegetarian meal at the guest house in Alipore, we begin with the obvious appetizer—his relationship with former RBI governor Raghuram Rajan. Is Acharya a Rajan protégé? Not exactly. While doing his bachelor’s in computer science and engineering at IIT, Bombay, Acharya tired of algorithms and thought he probably wasn’t cut out for computer science. So he picked international finance as an elective subject in his final year in 1995. Then, in 1995, he wrote to Rajan seeking admission at the University of Chicago Graduate (now Booth) School of Business. He also applied to NYU Stern and Cornell University. Acharya chose NYU Stern—he wasn’t sure at the time if he wanted a life at Wall Street or in academics. Acharya says the research friendship with Rajan really blossomed in 2006, the last year of Rajan’s term as chief economist and director of research at the International Monetary Fund, when he invited Acharya for a project and they began writing research papers together. “Raghu has been sort of a role model," he says. Acharya, I remind him, is often referred to as the “poor man’s Rajan". He laughs. “In 2004, on a flight to the Western Finance Association meetings, a New York Federal Reserve member was sitting next to me. I was scribbling something on a piece of paper. He asked me, ‘Are you Raghu?’ My answer was, ‘No.’ He looked at my scribbling and asked the next question: ‘Banking crisis model?’ And, then again, ‘Indian... banking... Are you sure you aren’t Raghu?’ In retrospect, I should have told him ‘I am a poor man’s Raghu!’," Acharya says cheerfully. Of course, there are similarities, howsoever superficial, between the two—both studied at IITs before shifting to finance and economics; and both love cricket. Did he want to be a central banker all along or did he arrive at the RBI by accident? Acharya confides that he had sent his CV to Rajan for an opening at the RBI and also asked Patel whether he should apply. The current governor, of course, had answered in the affirmative. Since his entry into the RBI, Acharya, who had been a big supporter of the bad bank idea as an academician, has changed his stance notably even as the bad loans of the Indian banking system have inched towards Rs8 trillion. “We need to deal with the situation in a very swift manner and decisively. I am not pushing for a bad bank at this time as it is a quasi-government structure, it takes long to get it going, and there is upfront impact on the fiscal situation. Also, as we lose time, the underlying companies get more and more adversely affected," he says. “We need to focus on the banks and the companies, both. Of course, we will need government support for the bad assets in the infrastructure space." With behind-the-scenes work on resolving bad assets in full swing, Acharya understandably chooses his words carefully. I ask how he proposes to fill the holes that will be created after the banks take deep haircuts to clean up their balance sheets. “We need to be creative. We need government intervention but continuous recapitalization is not a good idea. We need to look at effectively selling the banks’ loan assets, deposits, customer base, non-core assets...everything to solve the problem." Acharya has a theory about the mess we are in. According to him, public-sector banks mobilized more deposits than the private banks after the 2008 credit crisis, but capital allocation was poor. Besides, the government came out with a stimulus package. “We talk about boom and bust. But this was somewhat different. The boom did not last long and the bust hasn’t yet ended," he says. In the second half of 2015, the RBI under Rajan launched the so-called asset quality review (AQR) for banks but that has proved ineffective in cleaning up bad loans. Now, it wants to be involved directly in the process. I ask him bluntly if this is the job of the banking regulator; Acharya remains unperturbed. He doesn’t agree that AQR is a failure, believing that “after the AQR we are pushing the banks harder to come clean. Probably we should not have done this chronologically, one after the other; it could have been a simultaneous process". The regulator, he believes, has to intervene, for the big problem is coordination among banks. “Why were the banks not forthcoming? There was no incentive to push. This has happened in other countries too, in Japan in the 1990s and in Europe recently. Now, we are launching a two-pronged attack: The banks must realize that capital is not cheap and, at the same time, the promoters will feel the threat of RBI moving the bankruptcy court directly or if the restructuring fails to resolve in a time-bound manner. So, both the lenders and the borrowers will have the urgency to resolve bad assets." Acharya has always been known as a workaholic, and since he joined the RBI, the number of hours he sleeps has come down. Every month he takes his parents out for dinner one weekend, rushes to Pune to spend time with his mother-in-law on another, catches up on some sleep on the third and, on the fourth, takes a United Airlines non-stop flight to Newark to spend time with his wife and their son Siddhant in New York. There has been at least one occasion in the past few months when he’s been to the US just for a few hours—to attend Siddhant’s musical at school. Music is very close to Acharya’s heart. Over a dessert of succulent Himsagar mango, he tells me of his love for Hindustani classical music and how he believes that lyrics give further meaning to music. He listens to a lot of Kishore Kumar—his all-time favourite songs are Kuchh Toh Log Kahenge and Phoolon Ke Rang Se—Lata Mangeshkar, Mehdi Hasan and Pandit Bhimsen Joshi. On my insistence, Acharya hums his favourite songs, but refuses to sing them out. Songs picturized on Amitabh Bachchan are also a favourite—Khaike Paan Banaraswala and My Name Is Anthony Gonsalves. The CV Starr professor of economics at NYU Stern has taken a three-year lien from the university to fulfil his role at the RBI. Given a choice, will he stay on? “At the moment, I look at this as a three-year assignment. That’s the understanding I have with my wife, who will remain in New York with my son. I am not thinking beyond this," he says. We get around to the fact that in the last fiscal year, bank credit growth was around 5.5%, a historic low. “We are not overtly worried on this per se.... As we resolve stressed assets and banks get recapitalized, investment and credit growth will return. Also, the non-banking finance companies and corporate bonds are complementing the bank credit; what is happening is we are seeing different sources of credit," he says, while agreeing that corporations are over-indebted, excessive capacity is leading to loss in pricing power, and supply is far in excess of demand. Optimistic, Acharya believes the Indian economy is resilient, with good signs on most fronts—macroeconomic stability, consumption and growing financialization, illustrated by the swelling portfolios of mutual funds and insurance firms. “We need some structural reforms to give the big push to the economy and enable greater job creation.... I am a firm believer in economic inclusion before financial inclusion." I ask him about the functioning of the monetary policy committee, of which he is a member, and media reports on government pressure on the committee to cut interest rates and push growth. He declines to comment. I ask him another uncomfortable question: As a deputy governor, his mandate is monetary policymaking but his core focus seems to be on the banking crisis. Acharya admits that he is an “outsider" in this area but has the “freedom to be part of the process", and adds that the RBI is a “well-oiled machine that gets things done in the end". Acharya’s determination to clean up the banking system may not be music to the ears of our bankers, but he is certainly a change agent at the RBI, someone who’s not afraid to take the bull by the horns. We should be ready for some action.